Best Price Guarantee | Vegas.com: If you purchase your tour/s via the link provided on this page and find a better price for this Vegas Off-Road Experience, Vegas.com will match the competitor's price and refund the difference. That’s customer care you can count on. 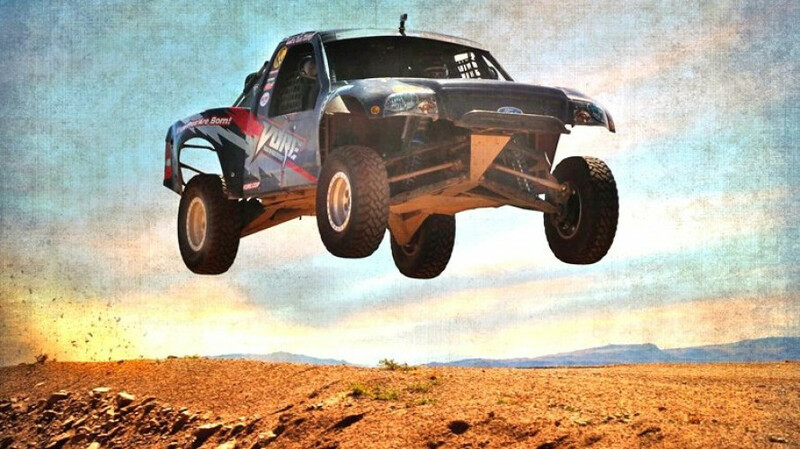 Tease your senses with the thrill of desert off-road driving on a short-course racing track not far from the Las Vegas Strip. Vegas Off Road Experience (VORE) has a professionally maintained short course “stadium-like” track. But don't let those gnarly banks scare you, each person watches an instructional video, has an orientation and a demo lap. There are 5 jumps, a rhythm section, and high-banked, high speed drifting turns. All your gear and transportation are provided. Transportation Type: Custom off-road truck. Special Requirements: Renters must be at least 21 years old with a valid driver's license and a credit card for a damage deposit (Although insurance is provided at no additional cost). Co-drivers must be at least 14 years old and must be accompanied by an adult. No open toed shoes or sandals are allowed. Please check weather conditions and dress appropriately. Customer Support: Customer support number provided upon booking to address any special needs & answer any questions.